With the intent being to educate those in the USA who are now in the market for an all-electric vehicle, I’m going to provide an overview here of the widely available and mass produced options out there. There’s more on the market than the Tesla Model 3, Tesla Model S, Tesla Model X, Nissan LEAF, and Chevy Bolt … but not a lot more. Notably, I’m not going to be talking here about compliance cars only found in California, or anything like that. The models that I’ll be skipping here as a result will include: the Fiat 500e; the Volkswagen e-Golf (not a compliance car in Europe, I know, but it is in the USA); the discontinued Mitsubishi i-MiEV; and Mercedes-Benz B250e, among others. I’m also skipping highly limited-run supercars like the NIO EP9 and the Rimacofferings. The all-electric models listed below will all be widely available. Though, it should be realized that some options are still much harder to find than others, as some manufacturer dealer networks are less willing to push electric vehicles than others and some are limited by production constraints. The region where you are located will be important in that respect. A Chevy dealer in California, for instance, may be happy to sell you a Chevy Bolt (and home to sales reps who are well informed about the model), but that doesn’t mean that one in rural Louisiana will even employ people who know what you’re talking about. I’ll start out here with the Chevy Bolt EV, GM’s first real mass-produced all-electric car (yes, I’m considering the doomed EV1 and compliance Chevy Spark EV as highly limited runs). The Chevy Bolt EV features a US EPA range rating of 238 miles (383 km) per full charge, making the model one of the only options out there for those who want an all-electric vehicle with a 200+ mile range. The impressive range is the result of a 60 kilowatt-hour (kWh) battery pack. The battery pack itself utilizes LG Chem nickel-rich lithium-ion battery cells. The model is classified by the US EPA as “small station wagon,” with the fairly large hatchback opening being perhaps it’s most defining characteristic. Check out our Bolt reviews from Chief CleanTechnica EV Reviewer Kyle Field, an owner 1,200 miles after purchase, an owner one year after purchase. With regard to the newest iteration of the BMW i3 REx, that option possesses a 97 mile (156 km) US EPA range rating for the all-electric system, paired with a 2.4 gallon gas/petrol range-extender system, allowing for a total range of 180 miles (290 km) per full tank + full charge. The new BMW i3 REx was granted a 111 MPGe rating by the US EPA. Due to the range extender, this option comes with just 9.2 cubic feet of cargo space with the back seats up. 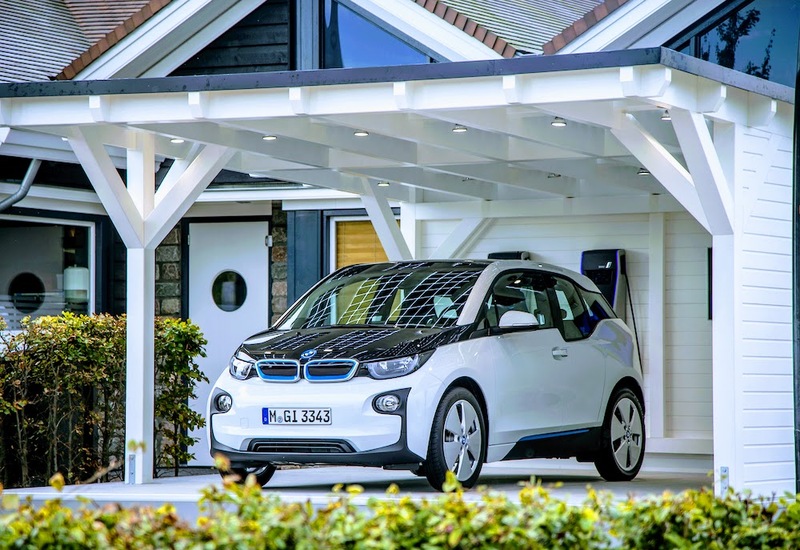 What else stands out about the BMW i3? Extensive use of carbon fiber in the body panels, the use of rear suicide doors, a large hatchback opening, and a polarizing appearance. Pricing begins at $44,450 and extends as high as ~$15,000 above that. Check out our 2013 review of a BMW i3, our 2017 review of a BMW i3, our other 2017 review of the i3, and/or our webinar about the BMW i3. We’ll move on now to the Hyundai Ioniq Electric. The current all-electric version of the versatile Hyundai Ioniq platform features a 28 kWh battery pack, which seems small, but its hyper efficient (aerodynamic) design results in an accompanying US EPA range rating of 124 miles (200 km) per full charge. I’ll note here that “currently” the model is only available in the US to California residents, but that this is supposed to change within the near future. 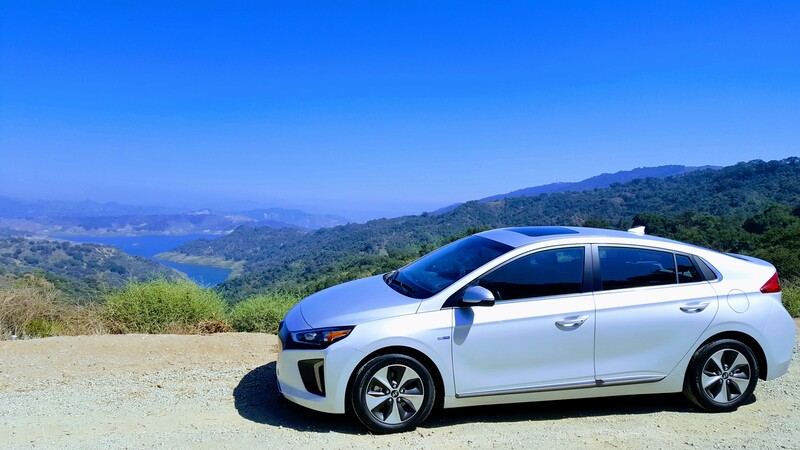 Check out our review of the Hyundai Ioniq Electric. 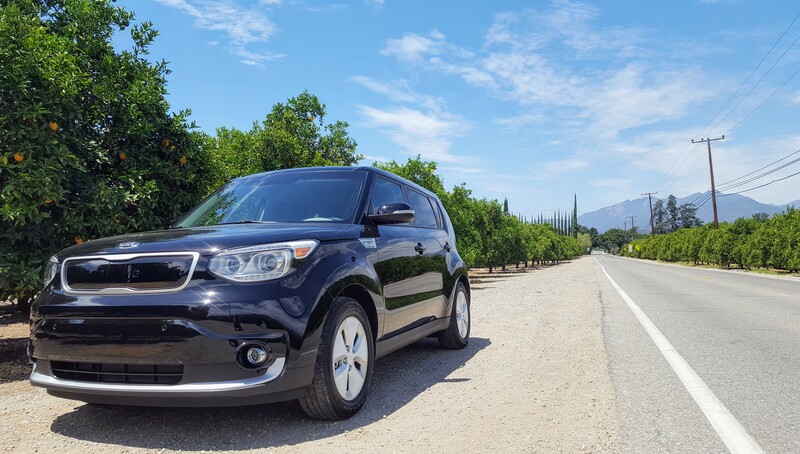 Check out our one-article review of the Kia Soul EV and a long-term review from a new owner. The very-soon-to-be-available-in-the-USA 2018 Nissan LEAF is a refreshed and heavily updated version of the popular all-electric hatchback. The new model year of the iconic model — available in the USA beginning in January 2018 — features an updated, more conventional styling and significantly better range and performance specs. The 2018 Nissan LEAF is offering a 40 kWh battery pack, which will allow for a US EPA range rating of around 150 miles per full charge — or so Nissan expects anyways. That means the car has more electric range than every other electric option on the market in the US except Tesla’s trio and the Chevy Bolt … but probably not for too long. Other notable features include the availability of the ProPILOT semi-autonomous driving suite as an option — which allows for fully autonomous single-lane travel when on divided highways. 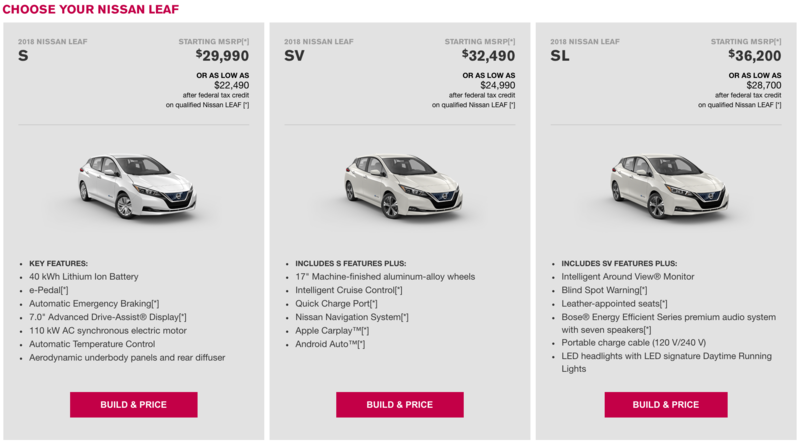 Pricing for the 2018 Nissan LEAF begins at $30,875 in the USA. Very notably, the 2019 model year of the Nissan LEAF will reportedly be getting a substantial range increase — up to around 200 miles per full charge in the real world. 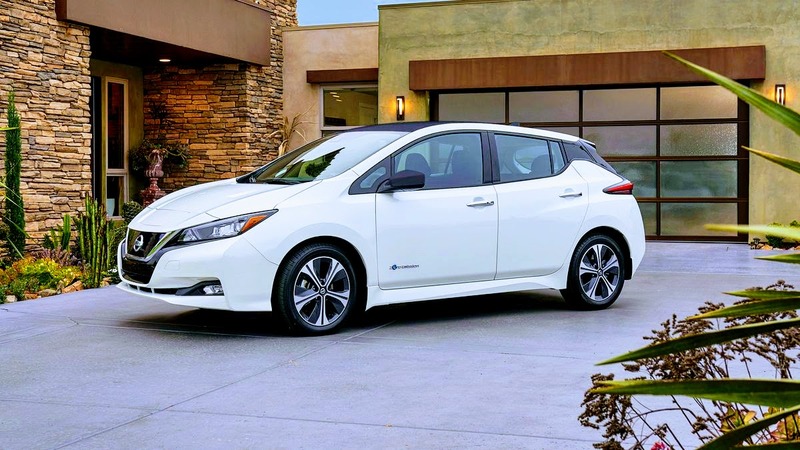 Check out our long-term review of the Nissan LEAF, and perhaps also our review of a LEAF vs a Chevy Volt or a LEAF vs Volt vs BMW i3. 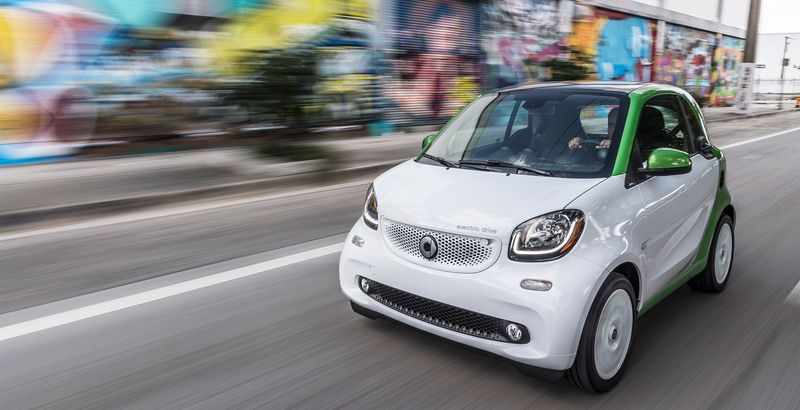 We now come to the 4th generation of Daimler’s electrified smart fortwo ultra-compact car. Available in the USA as of August 2017, the new model year possesses a very limited range of just 58 miles per full charge (as per the US EPA), but it is fairly energy efficient, and owing to its compact nature, it is probably practical for some urban peoples’ uses. The car features a 17.6 kWh battery pack and a fuel efficiency rating of 108 MPGe (124/94). Pricing for the all-electric car begins at $24,250. The Tesla Model S is one of the best selling all-electric vehicles in the USA currently, but it’s quite expensive by most people’s standards. The cheapest variant of the Tesla Model S currently, the 75D (all Tesla Model S sedans sold right now are AWD) begins at $74,500. As there has been a very large number of different iterations of the Tesla Model S sold to date, rather than list all of those available now, I’ll just draw attention to the outliers. Those wanting the longest range possible will want the Model S 100D, which offers a US EPA range rating (a real-world range rating, that is) of 335 miles (539 km) per full charge. Those wanting a new Model S but not wanting to spend more then they have to will want the Model S 75D. Some things to note about all Tesla Model S sedans, regardless of trim: they all feature a “perfect” NHTSA safety rating; they all feature a drag coefficient of just 0.24; they all feature a frunk (a trunk where the engine would be); they all feature access to the company’s impressive and growing Supercharger network; they all feature semi-autonomous driving features as an option; and they are all buyable through the company’s reportedly hassle-free shops (no dealership scams going on there). I’ll note here before ending this section that while the Tesla Model S is extremely energy efficient as compared to petrol/gas and diesel competitors in the full-size luxury segment, those who want a truly energy efficient car will need to go with something smaller. Check out our long-term review of a Tesla Model S 85D. The Tesla Model X is an all-electric SUV on offer by manufacturer Tesla in a number of different variants. Notably, the Tesla Model X is essentially the only all-electric production vehicle available in the USA with a substantial towing capacity (up to 5,000 lbs) … something you have have seen was just utilized to tow a semi truck after a snowstorm. The Model X, owing to the low center of gravity provided by the heavy battery pack in the floor, is probably the safest SUV in the world by a fair margin. According to the US NHTSA, the Model X is second (of all vehicles tested) only to the Tesla Model S as regarding low probability of injury. The Model X is also the quickest SUV in the world — by far. In fact, it’s one of the quickest production vehicles of any type. Basically, you can’t beat a Model X if you want an SUV with extreme power and acceleration. Those wanting a Tesla Model X with the longest range possible will want the Model X 100D, which features a US EPA range rating of 295 miles per full charge. Fuel economy is decent (the Model X P100D variant features a 86 MPGe rating), but those wanting a highly fuel/energy-efficient vehicle will need to choose a smaller hatchback offering. 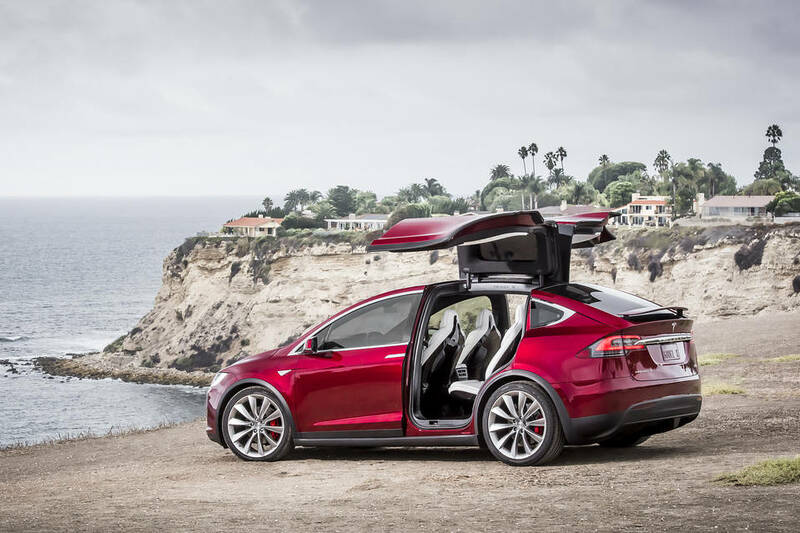 Pricing for the Tesla Model X begins at $79,500 (75D). Check out Kyle Field’s review of the Model X or Zach Shahan’s review of the Model X. The Tesla Model 3 is technically now available in the US, but those wanting one still have quite a wait ahead of them owing to a large order backlog. The Tesla Model 3 is essentially the smaller and much more fuel/energy-efficient version of the Tesla Model S. The only variant being delivered as of yet is the long-range 75 kWh battery pack option — which provides a US EPA range rating of 310 miles (500 km) per full charge — but a 220 mile (350 km) variant, outfitted with a 50 kWh battery pack, will be available at some point as well. The 310 mile version of the Model 3 has been granted a 126 MPGe fuel efficiency rating by the US EPA. The 220 mile variant will of course possess a much greater energy efficiency than that, owing to a greatly reduced battery weight handicap. The Tesla Model 3 features a total system output of 258 horsepower (192 kW) and 317 pound-feet of torque. Very notably, the model is not a hatchback, but features a relatively standard sedan trunk, like that of a Volvo S60. Options include Tesla’s highly regarded semi-autonomous Autopilot suite, access to the Supercharger network, a HEPA-rated air filter system, and AWD, amongst other things. Pricing for the Tesla Model 3 starts at $35,000 (that figure relates to the 220 mile variant, it should be realized).